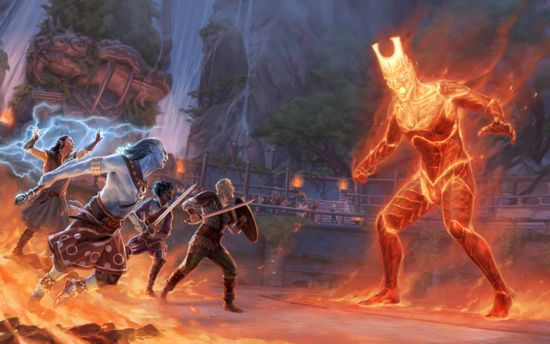 Major paid DLC release, titled “Seeker, Slayer, Survivor” for Pillars of Eternity II: Deadfire. In Pillars of Eternity II: Deadfire players will embark on a dangerous voyage of discovery to become master of the seas as they command their ship across the new open world region of the Deadfire. Pillars II builds on the foundation of classic RPG gameplay with vastly improved graphics, deeper game mechanics and a whole new handcrafted adventure where choices truly matter. Players can immerse themselves in exploration and discovery as they navigate the rich and exotic Deadfire archipelago by ship, discovering new races, visiting tropical islands, interacting with their inhabitants and engaging encounters at every port. In Pillars of Eternity II: Deadfire players can be accompanied by companions, both familiar and new, and witness their personal relationships evolve with the new companion relationship system. Players can customise the path of their companions by assigning multiple classes and further specialise by choosing a subclass.